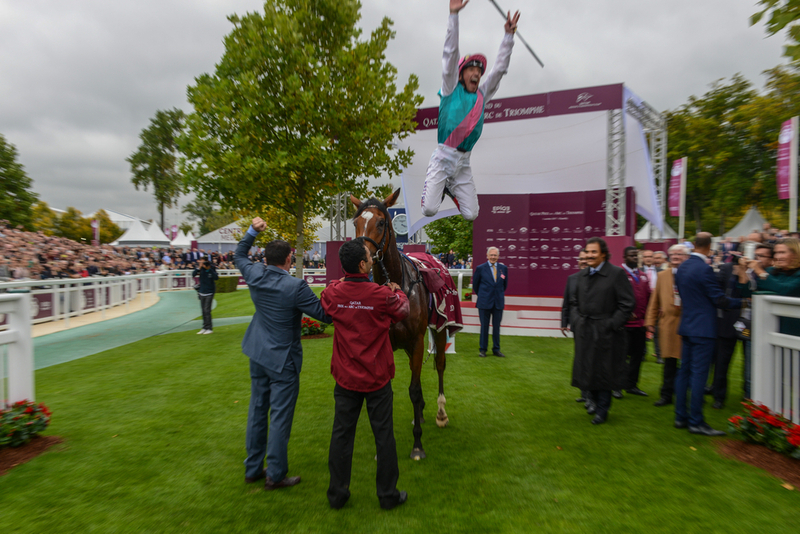 There has been a range of bets lands over the past four weeks, with some winning more than others but there has been a clear spread with each day giving us some nice returns . 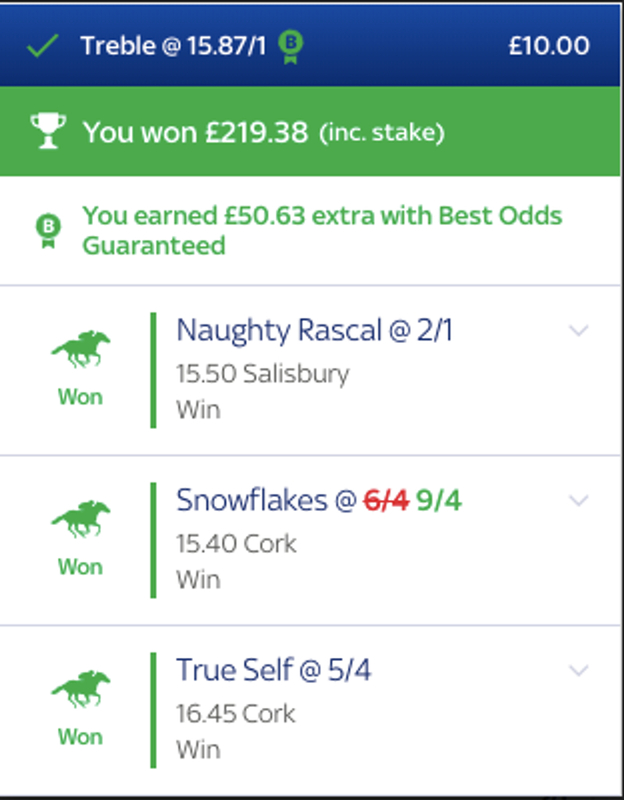 There has been Place Accumulators, Request A Bets, Trebles, Each Way Doubles, Naps and others that have all come in across a range of different bookmakers and here are some of the bet slips from our best bets. 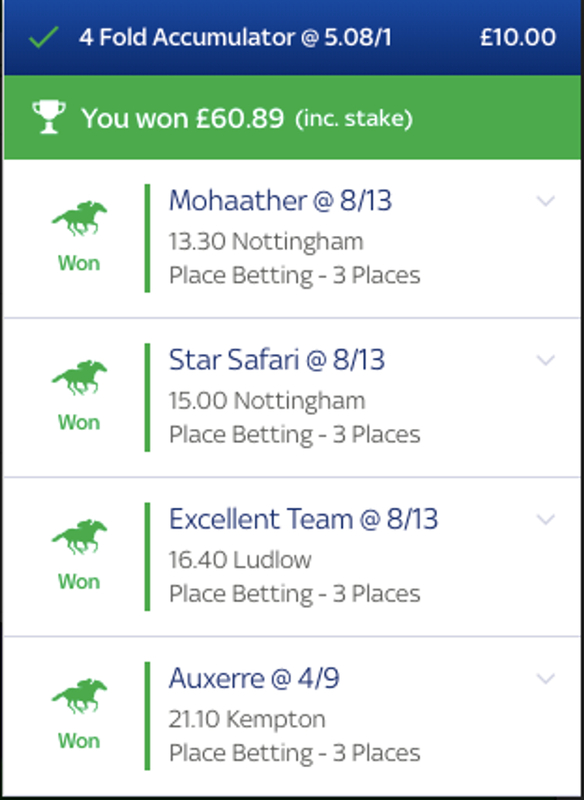 This winner was our first Stats Accumulator winner of the month and it was a four fold with all of the horses to go on and place and this bet was all based around stats to do with the trainer, jockey, owner and how the horse was performing. This was our second Stats Accumulator of the month which came last week at odds of 30/1. 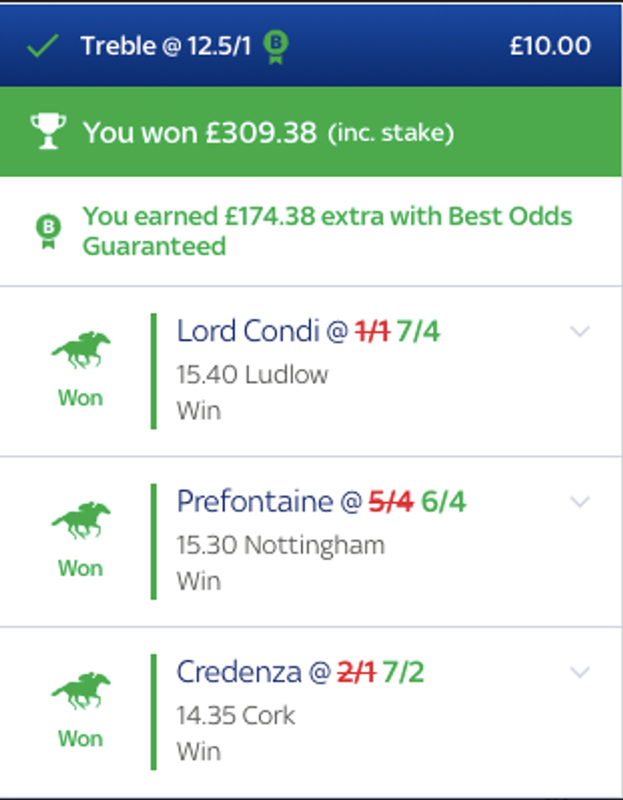 This was made up of three horses to place and one to go on and win all based around different little stats on connections and the horse. This was one of our most profitable bets during the month that landed last week. Two horses in our Each Way Double went on to win with best odds guaranteed at Paddy Power giving us extra profit. 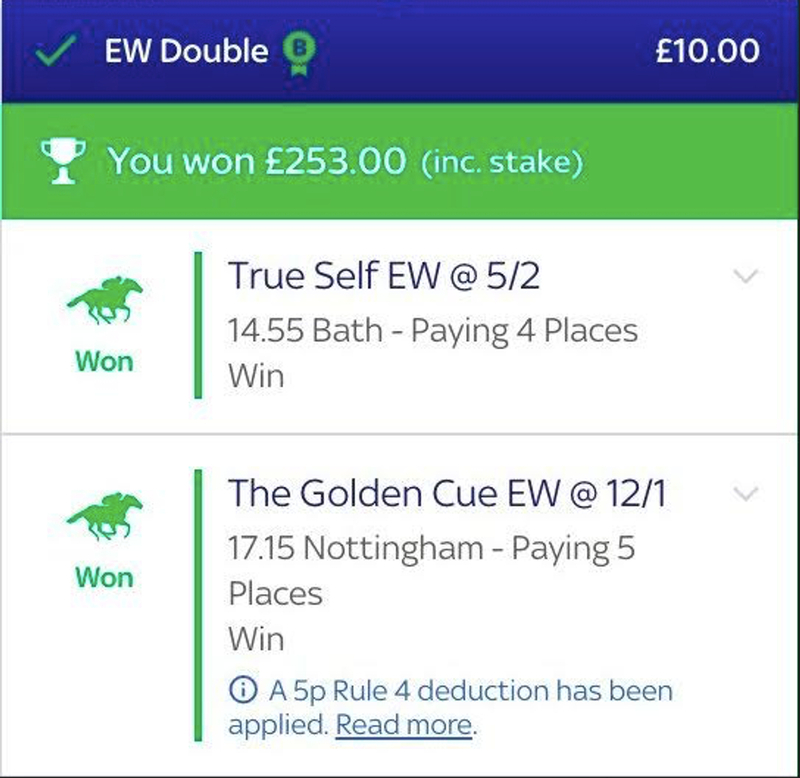 This was one of our winning Request A Bets with Sky Bet, it did have one non runner which bought the odds down but it still retuned a healthy profit. 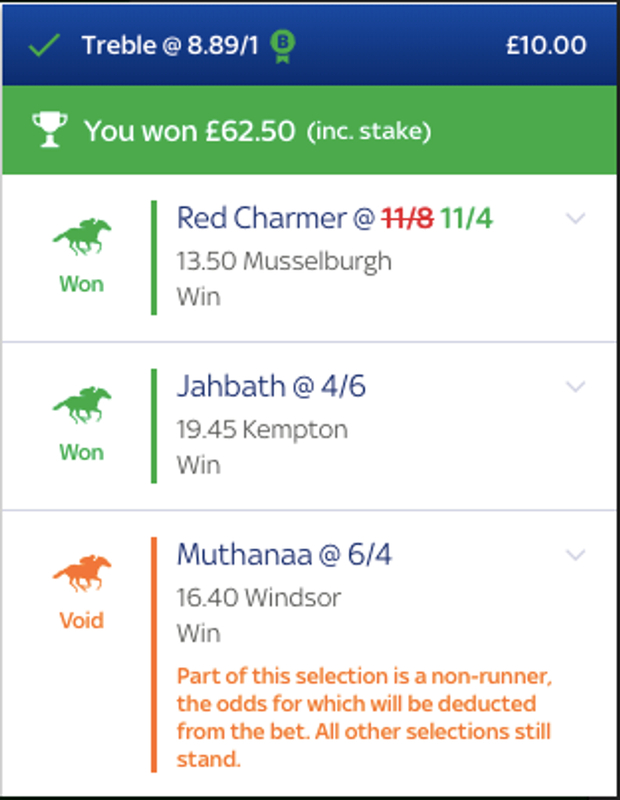 This again was another one our trebles that we landed this month, all of these seemed to have landed in the week with Wednesday being a great day for us. 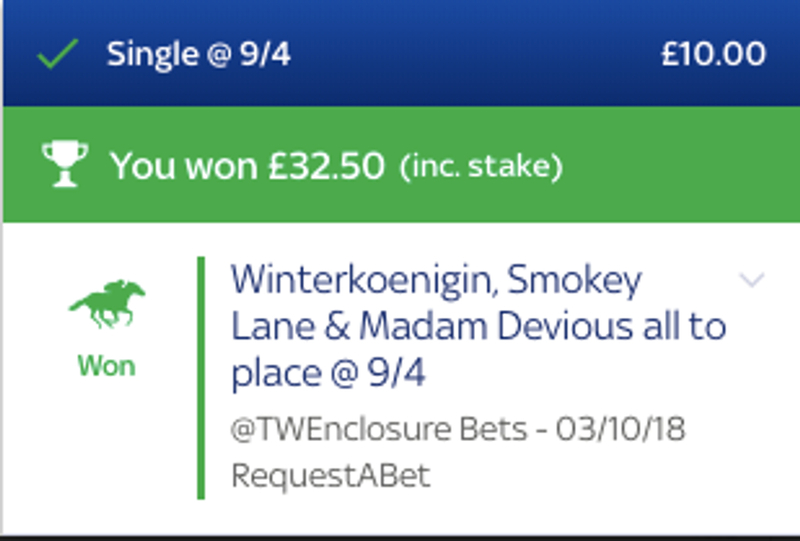 Sky Bet was home to another winning Each Way Double, not quite at the price of our other bet but still a tasty double including a 12/1 winner. 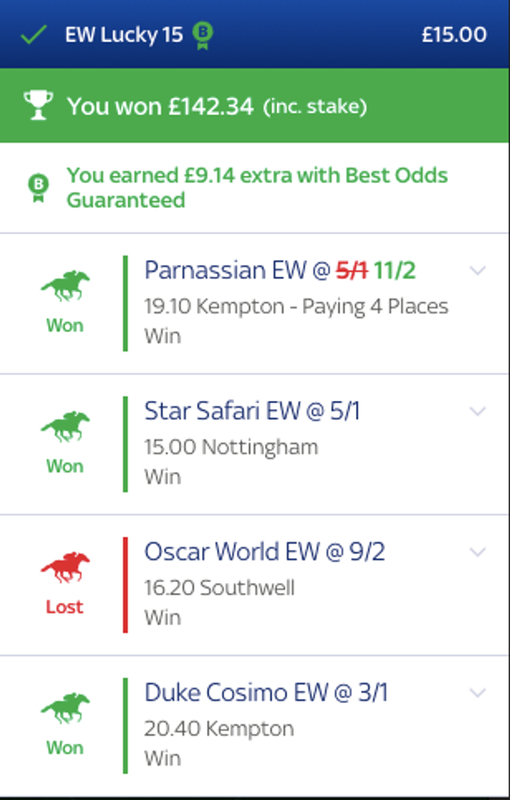 This was the best Each Way Lucky 15 we landed this month with a returns of £142.34 with three horses winning and one losing. Our most popular winning bet struck again with another lot of best odds guaranteed, this time with Sky Bet enhancing our profits. This was one of many winning trebles we had during October and it was our most successful bet. This one unfortunately turned into a double due to a non runner but it still gave a nice bit of profit. 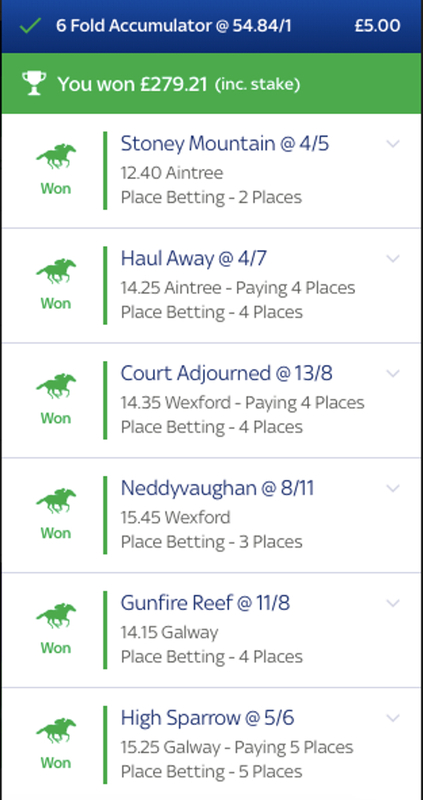 This is our winning Place Accumulator of the month and we managed to land this beauty on Sunday with a six fold of horses with horses all over the jumps.